This publication was designed for use by the Peace Corps Volunteers with no teaching experience. How to teach large skill-variant classes with minimal resources. 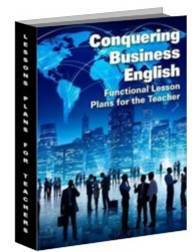 Conquering Business English was written by a teacher with over 20 years teaching experience, a master’s degree in Education and an MBA.